If there were one word to sum up a 30-year fixed rate mortgage, it would be stability. Your interest rates remain the same throughout the entire 30 years, so you never have to worry about your interest ballooning up. Stability sounds great, but is a 30-year fixed rate mortgage right for you? Let’s dig a little deeper to see if you should apply for this type of mortgage. Because 30-year fixed mortgages are about stability, you should only get one of these if you plan to stay in your home for at least seven years. That is the best way to benefit from this loan. Keep in mind that your interest rates won’t go down if the market drops, just as they won’t go up if the market rises. If you stay in your home for at least seven years, the odds will be in your favor for saving money with this mortgage. If you’re ready to buy your dream home or if you want to stay in the same place while the kids finish school, this is likely a great choice for you. Need more convincing? Check out the additional benefits you’ll receive if you get one of these loans for your San Diego property. These San Diego mortgages provide additional benefits. Mainly, you don’t have to worry about surprises. There is nothing like a rate increase at the end of the year to get your blood boiling, and that isn’t a problem with a fixed rate mortgage. You will pay the same amount from one month to the next, no matter what is going on with the market. That means the market rate can take a huge jump and you’ll continue to pay the same amount. Your monthly payments will likely be lower as well, especially when you spread it out over 30 years. If you are already bleeding yourself dry with the purchase of your home, this mortgage will help you stay within your budget. You won’t have to spread yourself as thin from one month to the next. When you combine steady interest rates with reasonable monthly payments, it’s hard to pass up a 30-year fixed rate mortgage. You do have to make a tradeoff to get the stability offered with a fixed year mortgage. When you get your loan, you might notice that ARM rates are lower. Keep in mind that those rates can jump, up, though. What if the Rates Drop Way Down? As long as you meet certain criteria, you can always refinance your loan. In fact, many people refinance if the rates bottom out. You just need to get in on the action before the rates go back up again. Hearing that a fixed-rate mortgage usually comes with lower payments is one thing. You actually want to see it for yourself, though. Use our 30-year fixed mortgage calculator to get a general idea of how much you will pay. You will need to enter the interest rate when using the calculator. Plug in the current interest rates. If you aren’t sure what the current rates are, you can use the 30-year fixed rate mortgage history as an indicator of what your interest rates will be. 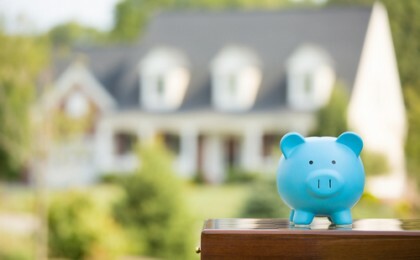 If you look over a five-year span, you will see that these mortgages typically range from around 3.5 percent to somewhere in the neighborhood of 4 percent. They can go slightly higher or lower. If you use that range, you will have a good idea of how much you will pay. • Set interest rates mean you don’t have to worry about surprises. • Your payments never increase. • Refinancing options are available if the market rate decreases. • You might pay more in interest that you would with an ARM loan. • You will have to apply for refinancing if you want a lower rate. Now you’re excited about the idea of getting a fixed rate mortgage. Spreading the loan out over 30 years and having stable interest rates mean you can fit it in your budget. You just have one question left…do you qualify? Your credit score is the most important factor in getting a loan. If you have a score of 720 or better, you’re golden. There are lenders out there who can’t wait to give you the money. Just apply, sign on the dotted line, and move into your new San Diego home. What if your credit score is a little bit lower? Lenders are willing to work with people who’ve had some bumps in the road. In fact, most lenders will loan you the money even if your credit score is 620. Keep in mind that a credit score of 620 means you have skipped some payments in the past, so the lenders are going to protect themselves with higher interest rates. Lenders are also going to look at your income to see if you can pay the loan back. Even more importantly, they will look at your monthly debts. Your monthly debts shouldn’t exceed 28 percent of your gross monthly income. If they do, you might be turned down. You also need to have a steady job. If you just started a new job, it’s not a great time to apply for a loan. However, if you’ve been working at the same place for a couple of years, you will show lenders that you’re reliable. Ready to find out if you qualify? Take out 30-Year Fixed Rate Qualifier to find out if one of our bankers or brokers can match you up with a loan! POP Mortgage is proof that getting into a new San Diego property can be a breeze. Let us go through the process with you so you can have a new home or rental property in no time at all.